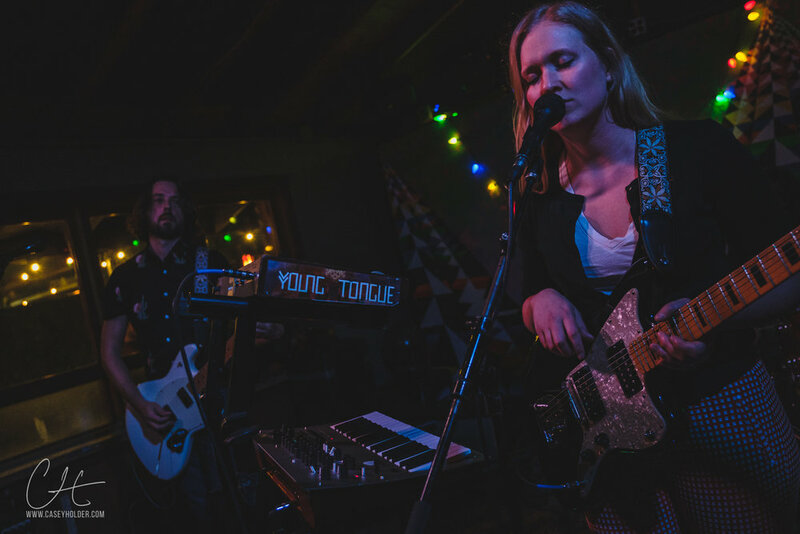 Blushing performs in support of Löwin on March 2, 2019 at Cheer Up Charlies. Saturday night, March 2, the wind was cutting like a knife but Austin Red River venue Cheer Up Charlies had its rum-laden Banana Hammocks - think strawberry/banana smoothie with a bunch of booze hidden somewhere inside - and some great local tunes to take the edge off a little. The room was packed for the Löwin album release with Blushing in support. Both Austin bands are fronted by some boss ladies and have a spacey, poppy feel. So, bust out your chorus pedals. The quartet is using their latest effort, Heavy as the Sun, as an opportunity to evolve their sound from its rock n’ roll roots to a more dreamy, abstract place. Front woman and songwriter Sara Houser put down the guitar and returned to the keys, her primary instrument, for the more melodic and lyrical nature of the band’s new music. Two ladies at the front, who I was definitely blocking, were being particularly patient with me. After a song, one tapped me and said, “I’m her mom!,” pointing to Houser. She then posed for a quick photo with her companion. There is nothing on this earth like a proud momma. Check out Löwin’s critically acclaimed new album, Heavy as the Sun, wherever music is heard. 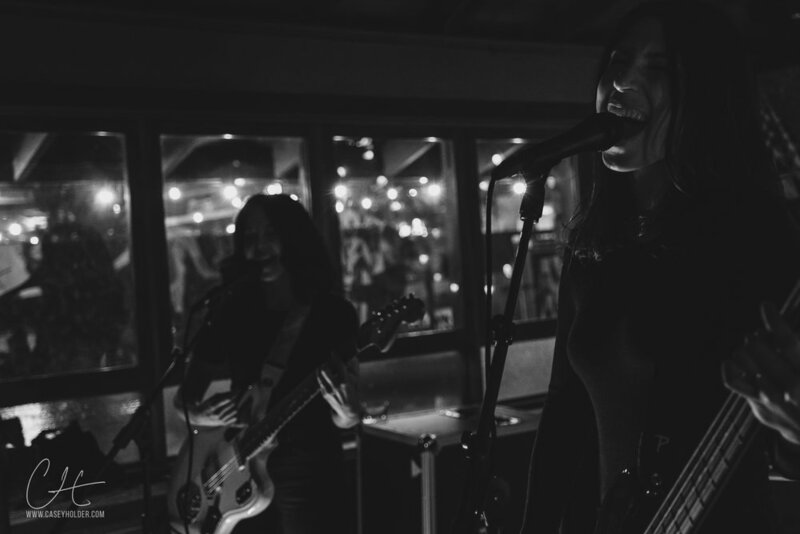 Blushing is truly a family affair, lead by two boss ladies — Michelle Soto on guitar and vocals with Christina Carmona on bass and lead vocals — who brought their husbands in on guitar and drums. The group, dressed in all black, created an imposing stage presence Saturday night as they poured their warm shoegaze goodness into the cozy confines of Cheer Up Charlies. With the lights lowered, Carmona’s haunting vocals and Soto’s sometimes driving, sometimes surfy guitar tones created a dynamic and entertaining show. The band is finding awesome success with an official SXSW Showcase in 2018 and one coming up in 2019. You can also find them featured in the 2019 SXSW Music Preview guide.